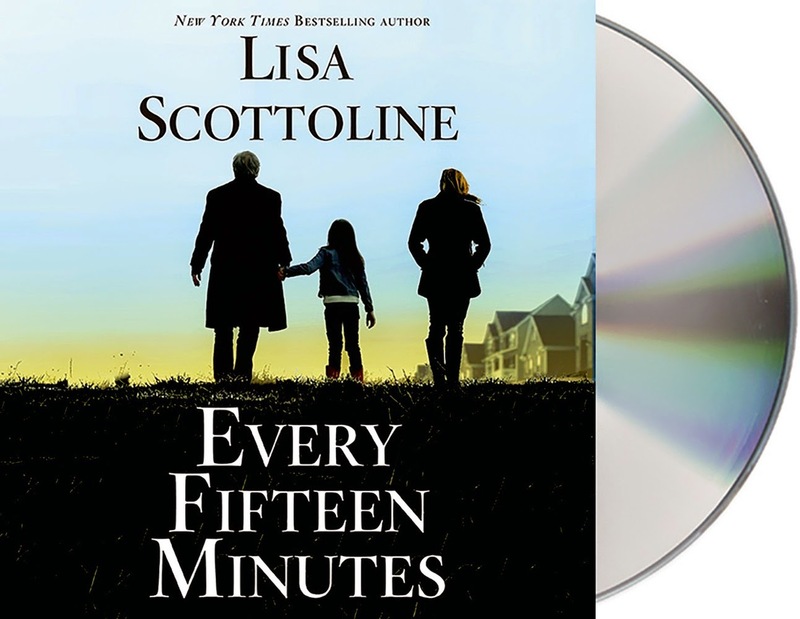 I am super excited about the April 14th release of Lisa Scottoline's new novel EVERY FIFTEEN MINUTES. I am a huge fan of her books, both her mysteries and her essay collections; and her latest book looks fantastic. I actually just received a copy of the audiobook yesterday, and I've already loaded it onto my phone so I can listen to it while I work out! Giveaway alert: Thanks to the publisher, I have an amazing giveaway that's really fun and a little different from normal! First, I have a copy of the audiobook EVERY FIFTEEN MINUTES to give away, and then I also have a $25 Visa Gift Card. So... one lucky reader will get both the audio version of EVERY FIFTEEN MINUTES and a $25 Visa Gift Card! Now for the fun part! I am only one of the blogs participating in this giveaway. On April 14th, publication day, winners from various blogs will be announced... wait for it... every 15 minutes! Make sure you check out these blogs for their special giveaways! To enter my giveaway, just fill out the form below before April 14th at 3:00 p.m. EST. This contest is open to those of you with U.S. addresses only. I will be announcing the winner at 3:00 p.m. EST on the 14th. Good luck! Thanks for doing this. I have fun listening to audiobooks as I drive to work and back, so I would love to win this one. Our book group at Westmoreland Hempfield Area Library is discussing Ms. Lively's "The House on Fortune Street" tomorrow evening at 6:30. Do you have any suggestions we should consider?